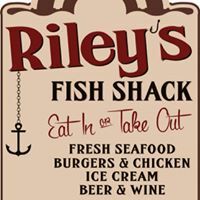 The entire family (including your pet) will absolutely love Riley’s Fish Shack. 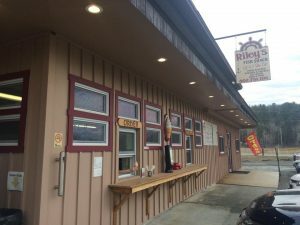 Open year round – this Northeast Kingdom restaurant features exceptionally good fresh seafood, burgers, and chicken. The Haddock Sandwich is a specialty – with lettuce and tarter sauce. Riley’s offers a Doggie Treat served with some soft serve ice cream that will make your dog’s day. Dine indoors or outside in the warmer weather. Try the fried or broiled seafood, one a quarter lobster or try to finish an entire seafood platter. Ask us about Riley’s Fish Shack in St. Johnsbury, VT.
Riley’s Fish Shack is a recommended locally-owned Vermont Restaurant.